Why? Because every young woman in school should have this name, these tools, and this in mind. How else will we get it there? As the NYTimes article suggests, it is time to give women the access code. Welcome LEGO fans! We looked around and couldn’t find a LEGO set that was geared towards inspiring young girls (and boys) to see how much fun engineering can be. After some recent articles and other LEGO releases geared towards girls we decided to work with a well-known LEGO artist Bruce Lowell to create "Ladyada’s Workshop" based on our own Ladyada who runs Adafruit. We’re documenting how you can make these on your own and we’ve entered the LEGO set in LEGO CUUSOO. 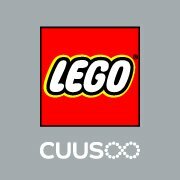 LEGO CUUSOO is a site where you can share LEGO set concepts you’d like the whole world to enjoy and aim for their eventual release as real products. 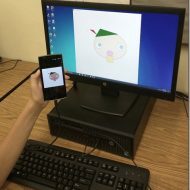 If we can get 10,000 votes here (http://lego.cuusoo.com/ideas/view/17491) LEGO will make it in to a real LEGO set. When we submitted the project to LEGO CUUSOO we granted permission for them to use, market and sell these if we get enough votes! So now it’s up to you, if you want to celebrate art, design, science, engineering and open-source hardware place vote for "Ladyada’s Workshop".